Book direct at any Martin Resorts property and earn 500 Alaska Airline miles per qualifying stay. Must mention you are an Alaska Airlines Mileage Plan member at check-in. Miles will be awarded upon check-out. Plus, travel with Alaska, purchase wines from San Luis Obispo Wine Country, and fly your wine home free! 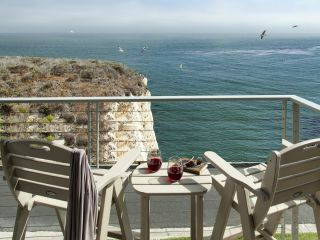 Martin Resorts has 5 beautiful properties spread out over the Central Coast. Whether you're looking for adventure, relaxation, beachfront paradise, or a wine country getaway - we have you covered. Pick your destination, pack your bags, and let us do the rest! 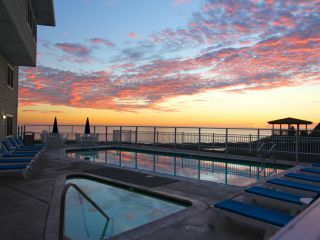 The newly renovated Shore Cliff Hotel overlooks the serene Pacific coastline in Pismo Beach. 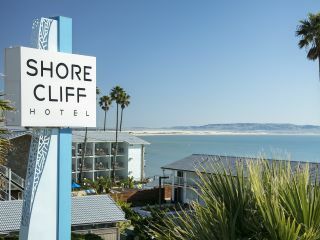 Make Shore Cliff Hotel your adventure headquarters and spend the day exploring the endless Pismo Beach attractions, then return to the hotel and be absorbed by the relaxing hotel atmosphere. 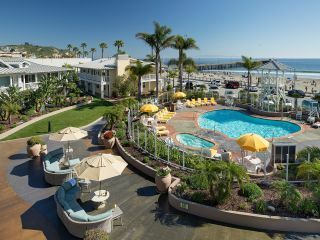 Enjoy a unique vacation experience at Inn at the Cove, a premier Pismo Beach accommodation overlooking a scenic beach cove and the coastal bluffs of the Pacific. Explore, rejuvenate, and savor these special moments on the Central Coast. Stay on the shores of the quaint, beautiful beach town of Avila Beach with Avila Lighthouse Suites! Wake to the sounds of the gentle waves and head out for a day in the ocean, only steps away from your gorgeous suite. Pismo Lighthouse Suites offers family fun and views to match, located atop ocean bluffs and the sandy shores of Pismo Beach. Winding down for a relaxing evening after a day in the sun is easy, with our spacious family suites fit for every family member. 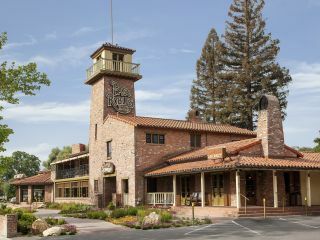 Wine lovers rejoice at the historic Paso Robles Inn, situated directly in downtown Paso Robles and just a short drive from the gorgeous, sprawling vineyards of this Central California wine region. Fun, leisure, and the best amenities offered meet here at the Paso Robles Inn. *Rates and availability will vary based on hotel. Guest must be a member of the Alaska Airlines Mileage Plan program. Guest must pay a room rate that is eligible to receive Mileage Plan miles per stay; these include rates available to the general public including Best Available Rate, AAA, and AARP. Members must mention program at the time of check-in to earn Mileage Plan miles for their stay. A stay is defined as one or more consecutive nights at the same hotel. Guest must provide first, last name, email and mileage account number for miles to be placed into their account. Please allow 6-8 weeks for your miles to post to your Mileage Plan account. All Mileage Plan program rules apply. To review the rules, please visit alaskaair.com.